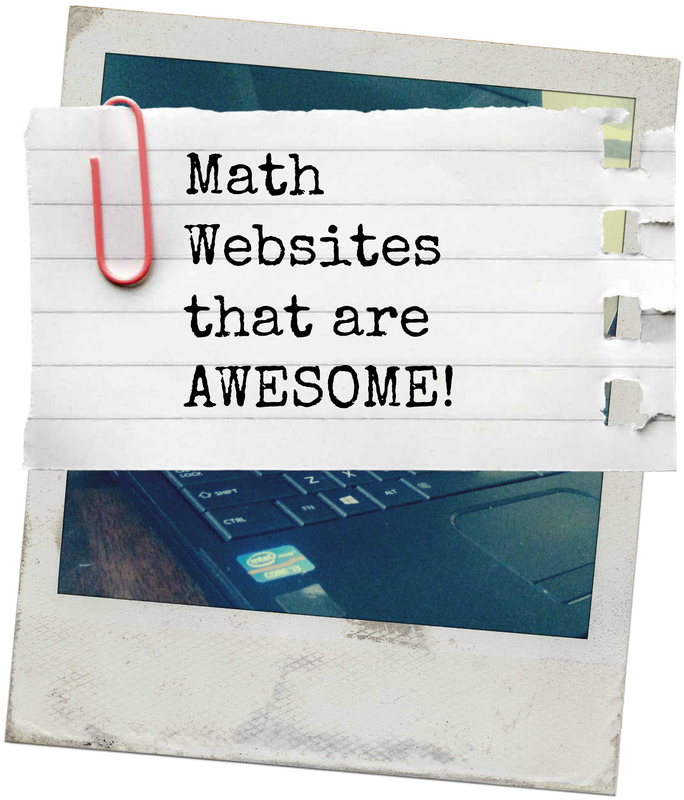 Math Websites that are Awesome! It’s no secret! Kids love computers, tablets, cell phones, game consoles, and almost anything with a glowing screen. It is important to limit screen time and find other activities for kids to engage in, but parents and teachers can also use their children’s interest in electronics to help them learn and reinforce essential math skills. As a teacher I have been using math websites in my classroom for years. Before I let my students on the computer I go over my guidelines for internet safety and the rules for using the internet in the classroom. If you need suggestions for internet safety and computer rules, you might want to visit my Pinterest page on Computer Rules for some ideas. My school district has a great web filter, but I still am cautious about letting students search on the web. When I was in the classroom, I set up a page with the links my students had permission to go to. They knew that it was a big deal! Only got to links on Mrs. Kirk’s page. Here are two sites you can use to set up your own page with links: Symbaloo and LiveBinders. I also make sure to talk to my students about ads. I try to pick websites without ads, but there are some good websites with a limited number of ads, so I want to make sure they know how to tell the website from the ad. Now, on to the FUN STUFF! Here are a few of my favorite FREE sites for Elementary Math! This is an excellent free resource for Math and Science by Scholastic. There are no ads and plenty of videos on topics from place value to adding and subtracting fractions. An awesome series from Canada! There are math videos on a bunch of subjects with practice problems embedded in the lessons. A great game for telling time. A great game for practicing math facts! A really fun, cute game to help kids practice multiplications facts. A great website to play games and practice math skills.